Windbreak Hedging Plants - Windbreak Trees - Trees for Windbreaks. Find out more about our range of plants suitable as windbreaks, these can be deciduous or evergreen. Some prefer a row of a single species, others a more varied design. All in our list will do the job admirably. For high level winbreaks many farmers and growers use Italian Alders or Lombardy Poplars to protect their Orchards and Nurseries. 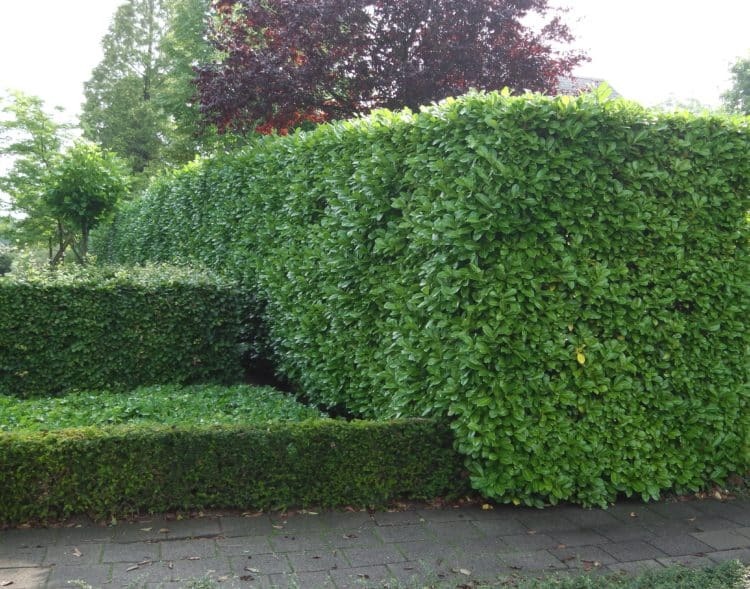 For garden wind protection choose either a single species hedge, or if you have space plant a shelter belt of trees, mixing deciduous and evergreen species of differing heights. Windbreak hedging plants – Whether trying to create some shelter from the wind in your garden or a windbreak across fields providing protection to orchards, hop gardens, vineyards or for animals, planting trees and shrubs can provide excellent screen. These living windbreaks and shelterbelts should be planted to create a semi-permeable barrier to reduce the wind speed and therefore provide shelter. Commercially in situations such as orchards and nurseries, Alders are a popular choice for windbreak hedging plants as they can grow to a good height quickly, are easy to establish, harbour few pests and diseases while keeping their protective wind suppressing foliage late in the season, and they are cheap! Fast growing and wind tolerant, Alders and Lombardy Poplar are commonly used often found lining fields where wind reduction is required. The larger the area that you are able to plant the more effective the windbreak will be, especially when using a mix of trees and shrubs, evergreen and deciduous. This sort of combination spaced carefully work best, slowing the wind but allowing it to permeate through, also giving an attractive area of year round interest. It is advisable not to try and block the wind with a solid row of trees as there is more chance of the wind increasing over the top and whipping down, sometimes doing more damage where the shelter was intended, it also increases the pressure on these trees raising the chance of them being blown over. Planting a couple of rows of trees, a taller row of say either Scots Pine, Beech, Wild Cherry or Birch, then a smaller row of Blackthorn, Mountain Ash, Field Maple alongside smaller wind tolerant shrubs such as Guelder Rose, Dogwoods, Berberis, Cotoneaster, can be really effective. There is a large choice of windbreak hedging plants available, only a few of which have been mentioned. If there is a view that you would like to try and keep whilst creating a windbreak, using a more open canopied tree such as Birch or Quickthorn can help. Evergreens that are excellent in a garden environment are Thuja, Privet or Griselina Littoralis hedging plants and when mixed with some deciduous shrubs give a lovely effect on the edge of an area, whilst still providing the desired windbreak.